Today at the KPMG Wanooka offices in Parktown, Pierre Jacobs, head of KPMG South Africa Marketing, announced the biggest coup in the KPMG Running Club’s short history as Caroline Wostmann was presented to the media as the teams talisman appearance. Caroline who ran into South African hearts last year by becoming the second ever female winner of the 2 Oceans and Comrades Marathon in the same year. She also narrowly missed out on the Comrades Marathon record (and the R1 million bonus) only due to the additional 800m of the route. To round off the announcement, KPMG also added 2016 Rio de Janeiro Olympic Marathon qualifier, Christine Kalmer (Who is the sister of Rene Kalmer, a double Olympian) as well as South African internationals Keneilwe Sesing, Olympic 3 000m steeplechase hopeful Tumisang Monnatlala and SA Schools under 19 cross country champion Thandi Sehohle. Kalmer who has an impressive running CV including the then SA national record for 5 000m indoors (16:21) qualified for the Olympic standard marathon with her 2:33:43 clocking in the 2015 Valencia Marathon in 10th place. “I am working harder than I’ve ever worked to achieve my goal to perform well at the Olympic Games, should I make the team this year, and joining KPMG has given me the opportunity to do even more. It is a privilege to represent a club and a team such as this and it will give my running just the boost that it needs!” Kalmer said. Tumisang is pouring all his energy into setting a qualifying time that will open the door for him in the 3 000m steeplechase, but believes he has what it takes to whittle off the two seconds he requires to reach the mark of eight minutes and thirty seconds. 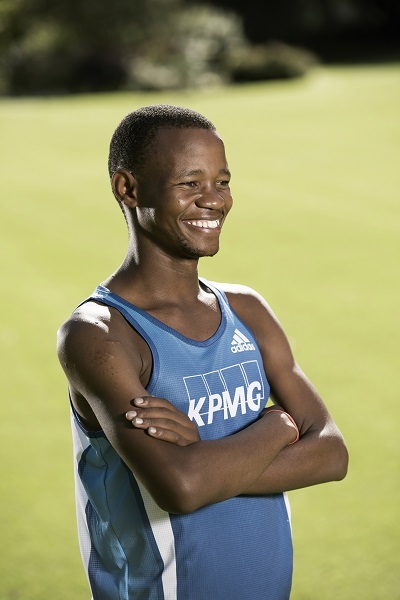 Tumisang is a product of the KPMG-Vorentoe Running Academy and is currently employed by KPMG. “It’s going to come in the first three months of 2016. I have no doubt about that. Watch this space!” the prodigious young talent, who wore the green and gold in China at the 2015 World Athletics Championships, said. Thandi Sehohle was also part of the KPMG-Vorentoe Running Academy and like Tumisang is now employed by KPMG. 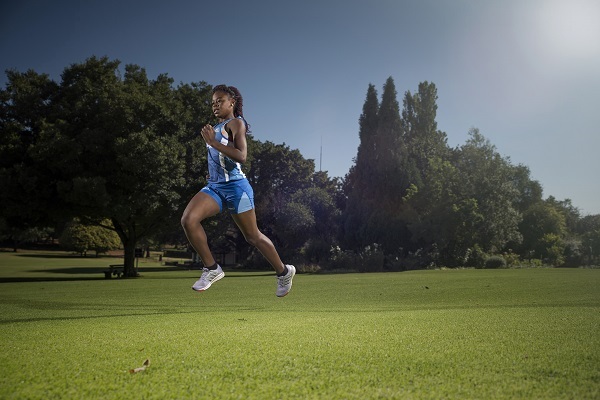 As for Sesing, she represented South Africa at the World Cross Country Championships in China last year and is aiming to run the Sanlam Marathon in Cape Town in September in a time of 2:33. She too has an impressive CV, which includes a 34:48 10km and a fourth place at the 2015 Spar Women’s race in Johannesburg. . The KPMG Club is a three tiered club that is made up of the KPMG Vorentoe Academy (The 2014 SA Sports Awards Development Team of the Year), the KPMG Running Club (For all staff and alumni and a large part of promoting employee well-being and lifestyle) and the KPMG Elite Running Club. Its a good time to be a KPMG Employee and a great time to be part of the KPMG Running Club.